The Irish Golfer Event series for 2018 came to a close on the Palmer Course at the K Club yesterday with the Grand Final taking place in glorious sunshine on one of the best golf courses in the country. From over 1200 individual players who took part this in the series year, there were 32 qualifiers who made it to the final. Category winners from all events were joined by the top ten players who qualified from the Nature Valley Order of Merit and a wonderful day was had by all. Starting from the ‘Tiger Tees” on the first was a challenge relished by everyone and with the course in such fantastic condition and the sun shining all day long it was a day for short sleeves and shorts for many – not too shabby in October! There was some great golf played, but just like The Highlander, there can be only one! 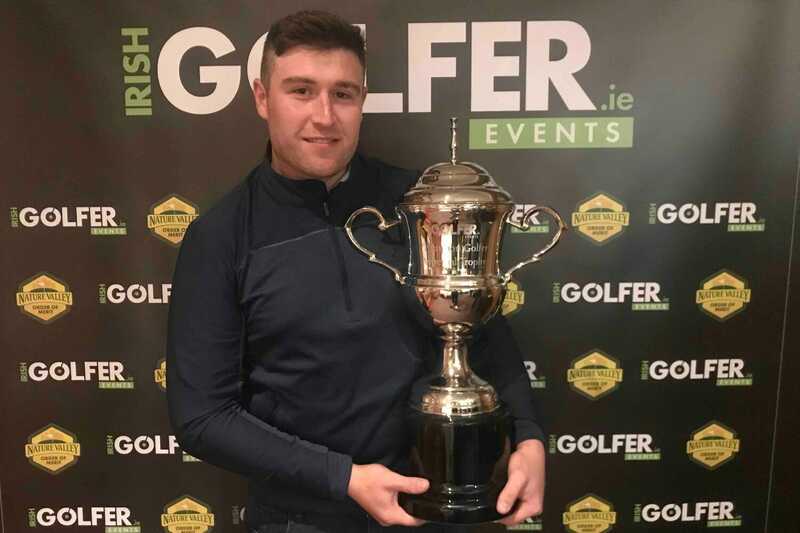 The overall winner was Rhys Clarke who had qualified by winning Category One at Tulfarris earlier in the season and off a +2 handicap he fired a superb score of 37 points to take the inaugural Irish Golfer Events Champion Golfer Title on a count back from Paul Whelan (4 handicap) with Alan Craven (1 handicap) in third place, also on a count back, with 36 points. “It’s savage to win. I didn’t really expect it coming up here today – I was coming happy to be playing the K Club but I got it going around the middle and it’s unreal. I can’t really believe I’ve won,” said Clarke. Clarke and Co. weren’t the only winners on the day though with nearest the pin prizes won by two unrelated O’Sullivans, Michael and John and the eagerly awaited draw also took place for the TRIP TO AUGUSTA which was won by Darragh Curran as his ticket number (#179) was randomly selected by Champion Rhys Clarke as the winner. We called Darragh to let him know, live at the Grand Final and while some of the words he used cannot be repeated here, it’s safe to say that he was happy – he got some loud cheers (and jeers) from the Grand Finalists too! 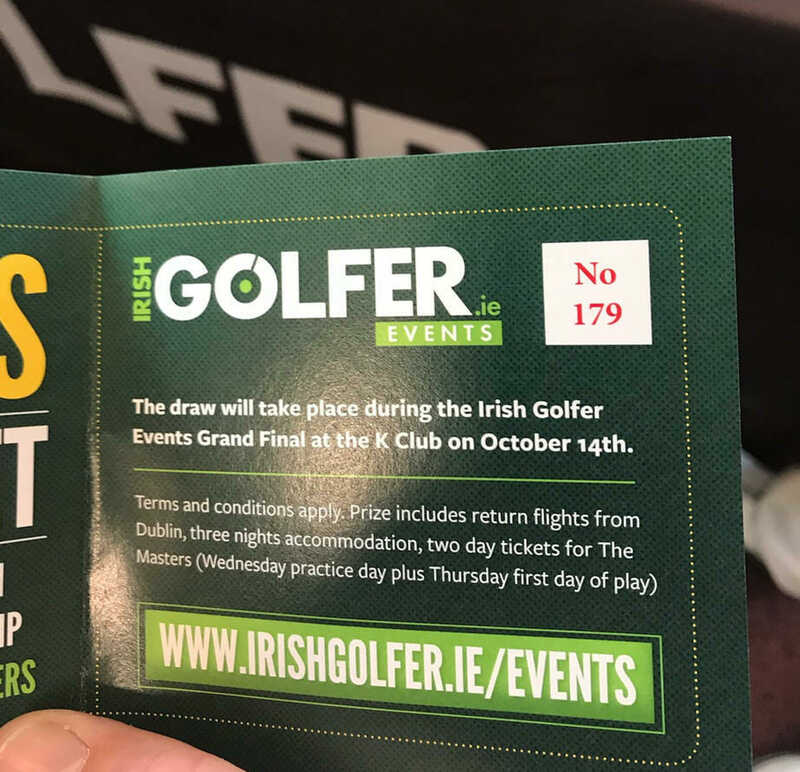 For those that played with us this year you’ll know we tell you that you have to be able to prove you got the ticket and Darragh sent us a photo of his ticket that he took at the check-in at Killarney where he selected it from the many on offer. The lucky boy! The winning ticket – Image sent by Darragh Curran following his notification of his fantastic win! All that remains is to thank all our participants for 2018, we couldn’t have done it without your support and the support of our sponsors including Nature Valley, McGuirks, Red Bull and others. We look forward to seeing you again in 2019 and the full schedule will be released shortly.